This past week I received an e-mail from a reader about the best way to beef up the TJP’s Tarrant County coverage. Also in this e-mail was the comment that Around the Town should include news about weddings, bar and bat mitzvahs and other life cycle events as well as trips, moves, health of people and so on. I couldn’t agree more. I invited this person to submit story ideas for potential future articles and to tell others to send news about weddings, births, b’nai mitzvah and so on. I’m waiting for a response from this individual, but I want to repeat it here. I’m glad to put scheduled events in Around the Town, but I also believe other topics should focus on goings-on around the Tarrant County Jewish community. So I will repeat myself (again) — please send your news items awsorter@yahoo.com. My goal is to get so much personal news that I have to shoehorn it into this column! I’m also going to send out the request to those who might be members of Congregation Beth Israel in Colleyville or Congregation Beth Shalom in Arlington — please send me news and activities. I would like to include your organizations in this column. 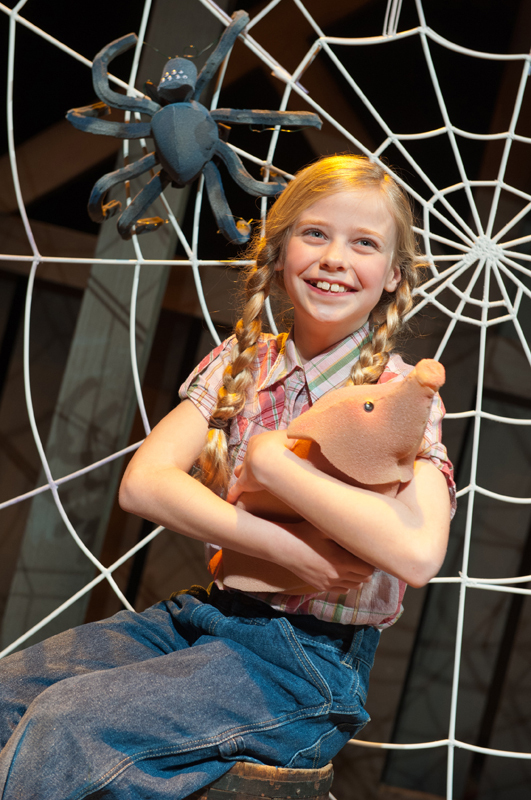 Leslie Magee sent some pretty cool news to us that I’m glad to pass along — her daughter, Lauren Magee, age 9, will perform the lead role of Fern in the all-time classic “Charlotte’s Web” at Casa Manana in Fort Worth. Lauren is double-cast in this role, and she’ll be performing in the Saturday shows, which take place this month at 1 p.m. and 5 p.m. on Feb. 11, 18 and 25. Tickets are available at the Casa Manana box office, 817-332-2272. Best of luck, Lauren — and congratulations! Rabbi Gary Perras at Congregation Ahavath Sholom hinted this might happen in a recent discussion I had with him, but I’m glad to see that it’s now in stone. Following CAS’ Kabbalat Shabbat service on Feb. 24 (beginning at 6 p.m. at the shul on 4050 Hulen in Fort Worth), the choirs of Arborlawn United Methodist Church and Rising Sun Baptist Church will pay a visit to sing musical selections composed by Rabbi Perras’ dad, Cantor Hyman Perras. Furthermore, membership of both churches has been invited to attend so they can hear their choirs. According to CAS’ bulletin, February has been designated as Brotherhood Month, and instead of hearing sermons about the virtues of brotherhood, it was thought that demonstrations of brotherhood would be more effective. Speaking of Rabbi Perras, I owe him an apology for not getting back to him immediately to learn more about CAS’ plan to plant 1,000 trees in Israel. It’s been a crazy week, but I WILL be in touch. Beth-El Congregation is in the midst of its film festival, with the next film, “Jewish Soldiers in Blue and Gray” to run at 7 p.m. on Sat. Feb. 18 at 4900 Briarhaven in Fort Worth. An optional dinner (at 6 p.m.) catered by Pak a Pocket will also be served — the film is free but the meal costs $12, and an RSVP for dinner must be made to the synagogue’s office by Wednesday, Feb. 15. For more information, call 817-332-7141. Interested in schmoozing along with a good dollop of food and drink? If so, join the good folks at Chabad of Arlington at 8 p.m., Saturday, Feb. 11 at 2136 Linblad Court. Also on hand will be a performance by “Unfinished Business,” a barbershop quartet. Cost is $25 and sponsorships are available for $72. Questions? 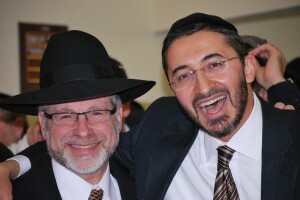 Call 817-451-1171 or log onto www.arlingtonchabad.org. We continue with our series on the 13 principles of Jewish belief. Maimonides goes on to discuss more deeply the high, angelic state Moses achieved. He also discusses the four main differences between the prophecy of Moses and others. For one thing, other prophets were spoken to through an intermediary, such as an angel and received prophecy only while sleeping. They were put into a type of trance, which was a highly traumatic experience, leaving them trembling and powerless, sapped of all strength. Lastly, others prepared themselves to receive prophecy only when God deemed fit, which could take months or years, and the prophets would never know in advance when it would come. Moses was different in all aspects. He spoke directly to God while fully awake, did not fall into a trance but spoke like one speaks to a friend, and would be answered whenever he approached God. Maimonides emphasizes another key difference in his “Code.” All prophets established the veracity of their prophecy by the performance of some miracle. The Jewish people did not believe in Moses merely because of any miracles he might have performed, although he performed many such as the 10 plagues, splitting the sea and bringing down the manna. Miracles alone are not totally convincing; some may still have doubts there was some trickery or magic involved. The belief Jews had in Moses resulted from their presence at Mt. Sinai, during which they heard God speaking directly to Moses. The entire Jewish nation was an eyewitness to Moses’ intimate connection with the Almighty, directly observing their interaction, speaking as two friends — no further proof of Moses’ veracity was necessary. Any future prophet who disavowed Moses’ teachings and claiming to hear from God was immediately deemed a false prophet, as no prophet holds the level of genuineness as that of Moses. In the last column, we discussed the fact that God does, indeed, speak to man and there are prophets to hear. Then why is it necessary to have a totally separate principle giving fealty to the prophecy of Moses? In true Jewish form, the answer can be sought through another question: Why, indeed, did God endow Moses with a level of prophecy so different from that of all other prophets? The answer to both is that Moses, unlike other prophets, did not receive his prophecy to offer rebuke to the Jews or warn them of some future event. Moses received his prophecy to bring Torah down from heaven to earth. The Torah is God’s purpose in creation; it’s the message of how to precisely serve Him while fulfilling our mission, as individuals and as a nation, during our lifetimes. It is absolutely imperative that this message is transmitted with crystal-clear lucidity and no ambiguities. If Moses received his prophecy by way of hints and visions requiring interpretation, or while in a trance or dream, the Torah would lack that absolute clarity. Moses’ prophecy was qualitatively unlike any other prophecy. This creates a separate principle to believe that not only does God communicate with humans, but He can — and did — convey a message with absolute clarity, leaving no room for doubts. This lays the foundation for the principle we’ll discuss next week: the Truth of Torah. I have a number of items that folks have sent me recently that I need to incorporate into this column. For example, shortly after Chanukah, Ruth Schor was kind enough to send me a photo of Prime Minister Benjamin Netanyahu lighting a Chanukah menorah with Israeli generals and soldiers. 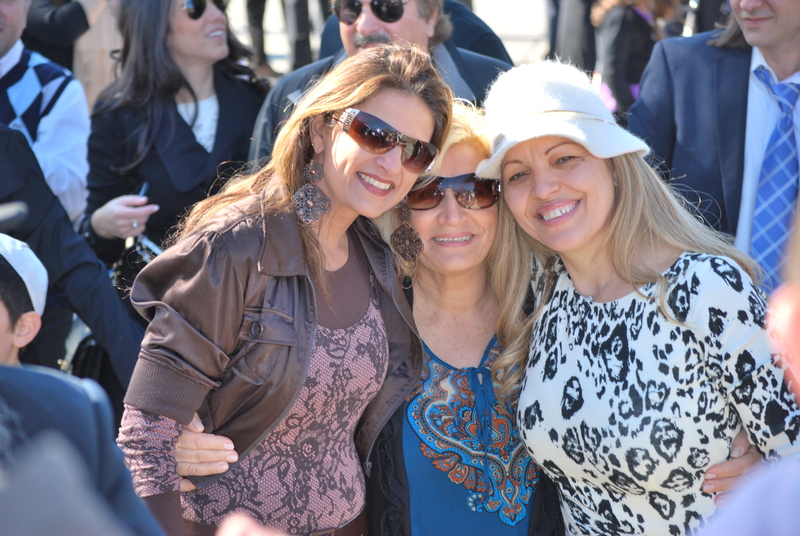 At the time, all I had was the photo, but recently I learned the back story, courtesy of Ruth who e-mailed: “Our connection and friendship with Israel is brighter and more promising than ever. 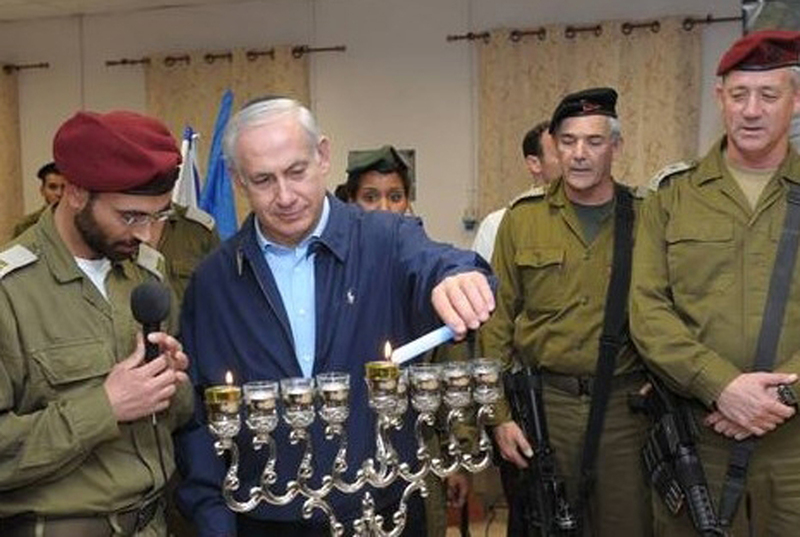 I was overcome with emotions when the attachment in the e-mail I received from Israel revealed a picture of Benjamin Netanyahu, Prime Minister of Israel, lighting the Chanukah menorah with Israeli generals and soldiers. He was proud to share that the menorah was contributed by religious school students in Dallas [Beth Torah in Richardson]. Once again we are reminded that every penny counts and that kindness, thoughtfulness and our love for Israel is priceless. The connection to our homeland plays a critical role in shaping our student’s Jewish identity and developing pride in our history and tradition.” Thanks Ruth for sharing the photo and fostering the connection between our children and Israel at Beth Torah’s Learning Center. Another item on my desk, which I have yet to clear came last month from Dr. Harlan Pollock, who shared some photos from a reunion of members of the 1974 Federation mission to Israel. The trip was a who’s who of Dallas’ leaders today. That’s just the teaser. Stay tuned to next week’s column for more on that incredible trip nearly four decades ago. North Texas musician Ilana Pomeranz has become an avid fan of the classes of Rabbi Hanan Schlesinger; she cannot get enough, sometimes attending three classes a week and listening online to recorded lectures while ironing or doing other tasks around the house. 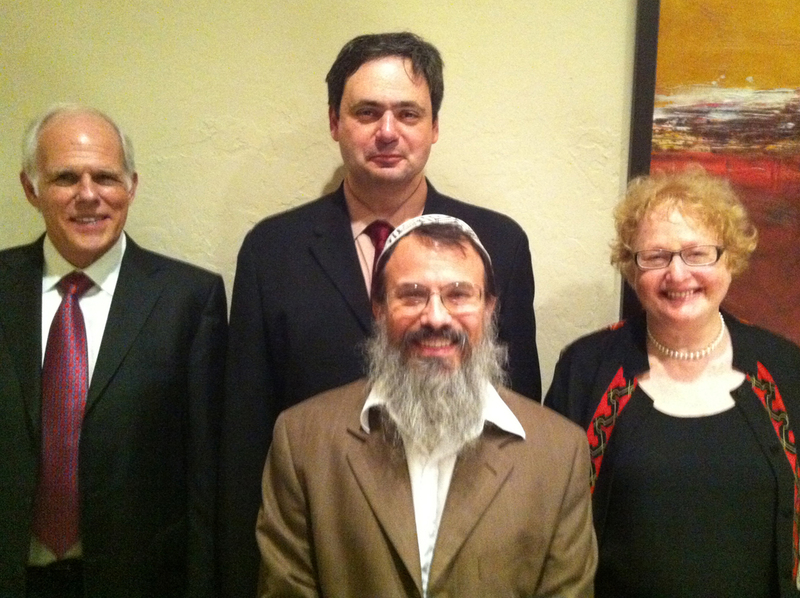 At the JSI music recital were from left musicians John Owings, Misha Galaganov and Ilana Pomeranz, and in the foreground, Rabbi Hanan Schlesinger, JSI executive director and Community Rabbinic Scholar. Looking for a way to support Rabbi Schlesinger’s Jewish Studies Initiative of North Texas (JSI), she floated the idea of organizing a chamber music recital to benefit the organization. In short order, she enlisted fellow musicians Misha Galaganov, Rozalie Levant and John Owings, and the idea became a reality. The sold-out fundraiser took place Saturday evening, Jan. 28. The recital was preceded by a lecture and demonstration given by pianist John Owings and violist Misha Galaganov. Owings and Galaganov explained the music motifs of the sonatas that they would play later in the evening, one by Johannes Brahms, and the other by a Russian contemporary of Brahms, Anton Rubinstein. They enlivened their lecture by playing excerpts of the sonatas and telling short anecdotes about the two famous composers. The evening also included a lively composition by Georg Philipp Telemann performed by Rozalie Levant on the piano, Ilana Pomeranz on the recorder and Galaganov on the viola. Levant pointed out that Telemann, a leading composer in the Baroque style during the 17th century, is thought to have been the most prolific composer in history. He was widely applauded during his lifetime by other leading composers, including J.S. Bach, who spoke admiringly of him. The concert pianists played on an exquisite 9’ Steinway Concert Grand piano which Danny Guttman, also a classically trained concert pianist, recently acquired. The handmade piano has been featured in Carnegie Hall concerts. Patrons appreciated the vibrant and powerful sounds of the Steinway. All of the musicians are professionals local to North Texas. John Owings is a Professor of Music and Chair of the Piano Division at Texas Christian University in Fort Worth. Dr. Levant, who has taught at two universities in St. Petersburg, Russia, has written “The Anatomy of Musicality,” a book based on her scientific research into effective piano pedagogy. She teaches and lectures internationally. Dr. Galaganov is Associate Professor of Viola at Texas Christian University, Director of both the Chamber Music Roundup Academy and the Fort Worth Chamber Music Roundup festival, and Coordinator of Chamber Music at the Summer Arts Institute in Oklahoma. Ilana Pomeranz is the founder of The Dallas Baroque Ensemble and teaches piano and recorder from her own studio. The committee who planned the event included: David Radunsky (chair), Gary Boothe, Celia and Earl Bills, Carole Ann Hoppenstein, Barbara Radunsky, Rabbi Hanan Schlesinger, Karen Schlosberg, Carole Wolanow and Rabbi Joel Zeff. Dina Ravitsky designed the invitations and programs. 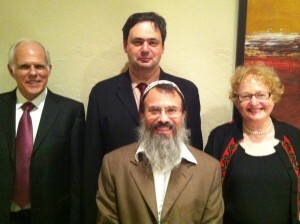 More information about JSI can be found at www.jewishstudiesinitiative.org. Popular columnist Steve Blow of the Dallas Morning News will be the guest speaker for Herzl Hadassah at their regular meeting on Monday, Feb. 13, 10 a.m. in the Conference Room (across from gift shop) at the Aaron Family JCC. All Hadassah members and guests are welcome and coffee and dessert will be served. Don’t forget Herzl’s Lifesaver Luncheon on March 12 at 11 a.m. at Town Village North. Luncheon tickets are $15; raffle tickets are 6 for $5.00. For info or rides, call Mimi Hamel, 972-241-2603. Local alumni of Alpha Epsilon Pi fraternity gather monthly to schmooze. The group meets for lunch at a Dallas area restaurants to catch up and network. AEPi alums enjoyed lunch at Seabreeze last week. Clockwise from left, Paul Hoffman, Eddie Davis, Mike Hopkovitz, Mark Goldstein, Arthur Wechsler, Alex Ray, Mark Alterman, Larry Silverman, Bruce Katz, Charles Shidlofsky and Joe Cukier. To be added to the invitation list or if you have a restaurant that would like to host the lunch contact Arthur Wechsler at arthur.wechsler@att.net. 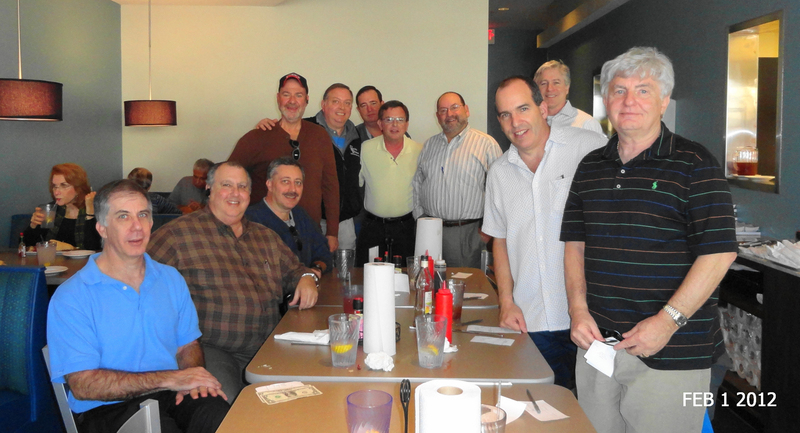 Last week’s lunch bunch gathered at Sea Breeze in Plano. Cindy and Mitch Moskowitz will host a parlor meeting at their home, 5915 Warm Mist Lane, on Feb. 21 for anyone interested in learning more about Yavneh Academy, Dallas’ only co-educational Jewish high school. The meeting will begin at 7:30 p.m. and end at 9 p.m. This is a great opportunity to meet Yavneh faculty, students and parents in an informal and relaxed setting. To RSVP or for more information contact Karen Hazan-Cohen at 214-295-3400 or khcohen@srcampus.org. The Dallas — North Central FASTSIGNS® sign and graphics center has been named one of the top FASTSIGNS centers out of the more than 450 centers in the country for its outstanding sales achievement. April Gilliland, who co-owns the Dallas — North Central FASTSIGNS with Lane Harris and Miriam Karp, was presented the CEO Circle award at the 2012 FASTSIGNS Convention, which was recently held in Nashville, Tenn. The CEO Circle award is given to 25 centers in the United States with the highest sales for the previous year. The Dallas — North Central FASTSIGNS center is no stranger to being lauded for high sales. At the 2010 and 2011 FASTIGNS Conventions, the center received the Pinnacle Club award, which recognizes the United States’ top performing centers. Additionally, in April, the center will be celebrating its 24th year of business. FASTSIGNS® helps businesses, organizations and events solve their visual communications and marketing challenges — large and small, From the simple … to the simply impossible. The Dallas — North Central FASTSIGNS center provides consulting, file transfer, design, production, delivery and installation for a full range of custom sign and graphics solutions. For more information, call 214-890-4444, visit www.fastsigns.com/11 or use your smartphone to visit m.fastsigns.com/11. Congratulations to Levine Academy fifth grader Leah Fradkin, daughter of Yanina and Meir Fradkin, who participated in the rhythmic gsymnastics competition in Houston. Leah won two first places for hoop and ribbon routines and two second places for her floor and ball routines. She received second place all around and made it to the State competition scheduled for March. An added mazel tov to Levine Academy eighth grader Shira Hovav, daughter or Diane and Shmuel Hovav, who has been accepted into the American Hebrew Academy Honor Society. The AHA recognizes outstanding eighth and ninth graders around the world. 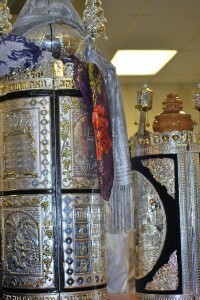 The recently formed Sephardic Torah Center of Dallas in Far North Dallas (see TJP article 12-2-11 or visit tjpnews.com), celebrated the inauguration of its own Sefer Torah on Sunday, Jan. 29. 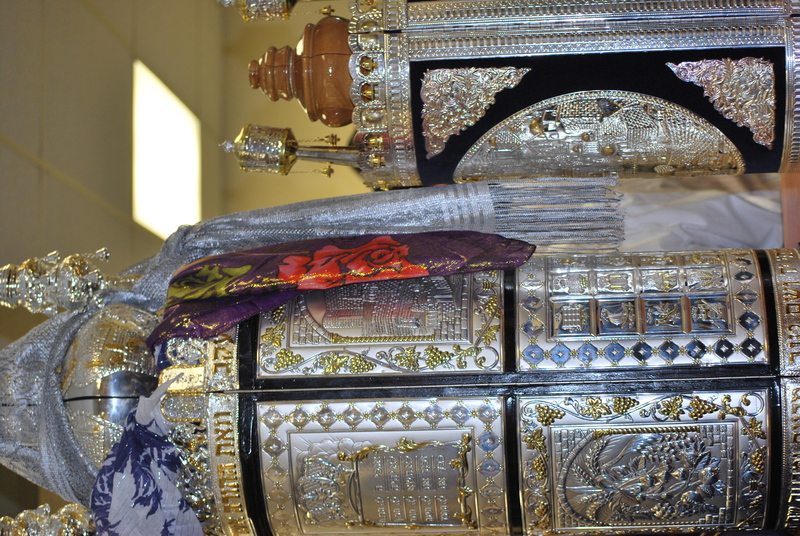 The beautiful Sephardic Torah scroll was purchased and dedicated by the Katav, Sebbag, Saboni, Cohen and Diamond families in memory of their loved ones, and in merit of a speedy recovery for the ill. 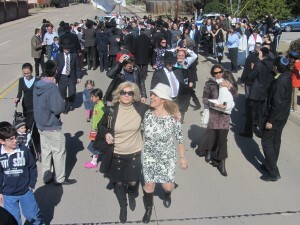 The ceremony began at 11 a.m. at the Texas Torah Institute. Following the completion of the Torah’s last words, the crowd of more than 300 danced with the new scrolls out of TTI and down the street to the Sephardic Torah Center’s new facility at 6715 Levelland Road. 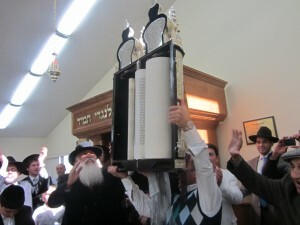 A banquet celebrating the occasion then took place at Chabad of Dallas, located across the street from the Sephardic Torah Center. Those in attendance included Rabbis Aryeh Rodin of Congregation Ohev Shalom, Mendel Dubrawsky of Chabad of Dallas and Ronen Shimon of Young Israel, as well as many rabbis from Texas Torah institute and Torah Day School of Dallas. The Super Bowl is over, as are the typical overhype of the event and the predictions leading up to it. Next stop is “March Madness” of college basketball, baseball spring training and beyond that, the NHL and NBA playoffs and championship games. And I’m just talking about professional sports here; if we add the sports in which your children and family might be involved to this list, it’s easy to see we’re in a sports-saturated culture. I have never been very good at sports, but I do watch various sporting events. I also am interested in sportsmanship — both observing it and trying to teach it. There are questions that do come up as it pertains to Judaism and some aspects of sports: For example, where does a foul fit into Jewish teachings? Would it be OK to sack a quarterback? Is it OK to be competitive? As can be imagined, the sages have come up with philosophies that can fit well with the sports world. For example, the Talmud mandates that a father teach his son to swim! Another important conversation to have with your children concerns today’s sports heroes. Some of the professional players these days make questionable decisions, so it’s in your best interest to talk to your kids about what makes a good role model in sports. Here are some things to look for in a role model. Someone with qualities you would like to have. Someone who works hard and accomplishes his or her goals. Someone who has a special skill or talent and uses it effectively. Someone who is nice, caring and loving. Someone who gives to the community. You can think of your own qualities to add to this list — the key here is to keep the conversation going so your children understand that there is a right way to behave and a wrong way — whether you’re a famous sports figure or not. Laura Seymour is director of Jewish Life and Learning at the Jewish Community Center of Dallas. With technology so prevalent in children’s lives through computers, television and video games, there are fewer opportunities for them to enjoy the outdoors. However, with the opening of the new Naturescape at the Aaron Family JCC, kids of all ages are able to rediscover the beauty of nature and have a place to call home for years to come. 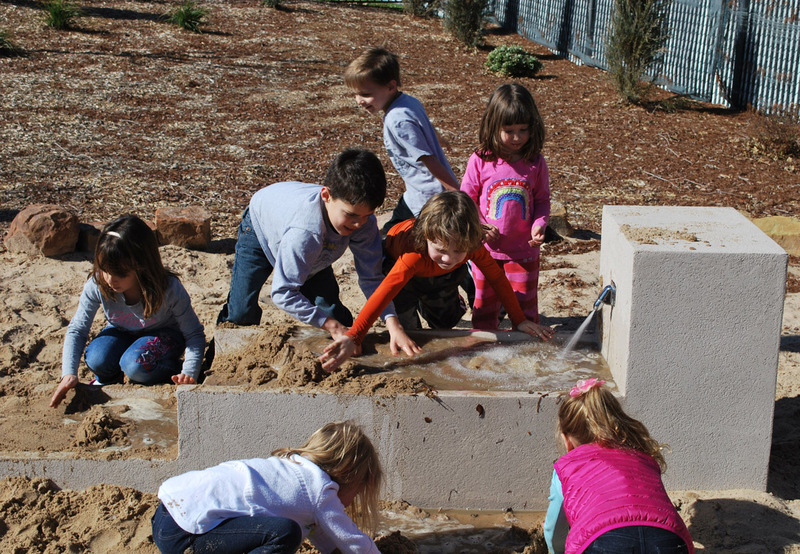 The J Naturescape is a miniature natural landscape with rolling hills, stone walls for climbing, gardens, water play, natural rock piles, loose parts for constructing things, a painting area, a bird-watching area and more. The idea behind this project, which was officially dedicated on Jan. 29, was to create a place for kids to experience the natural world. The Naturescape is located in the backyard of the J and totals around 54,000 square feet. 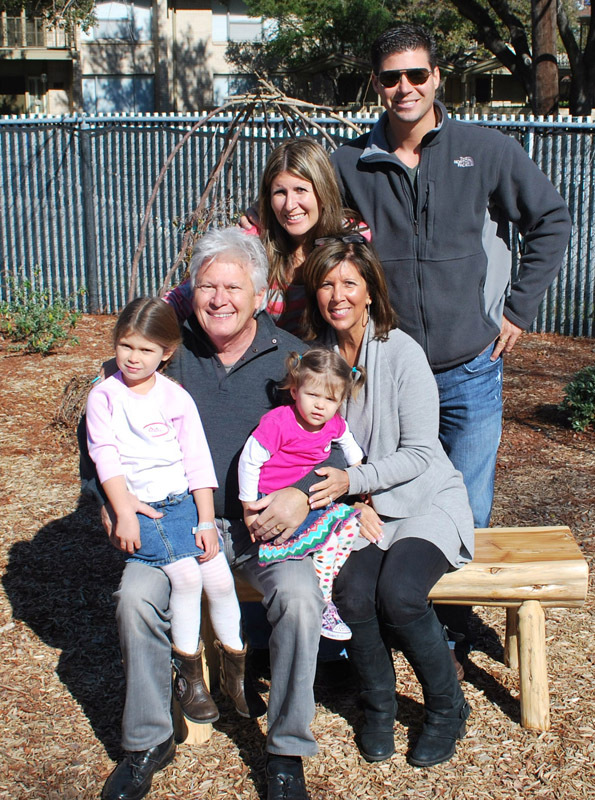 The J Naturescape consists of two main areas: the Rubin Family Playground and the Seymour Family Woods, both of which honors the two lead donor families, Pam and Ron Rubin and Laura and Jeff Seymour. 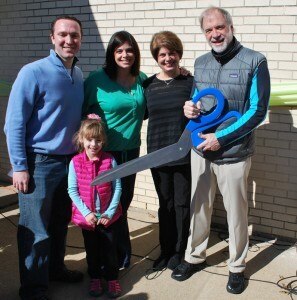 The Rubin’s are the parents of Julie Liberman, who co-chaired the Naturescape project with her husband, Jay. The Libermans became involved in the Naturescape as a way to give back to the J and believed being involved with this project would be the best way to do that. 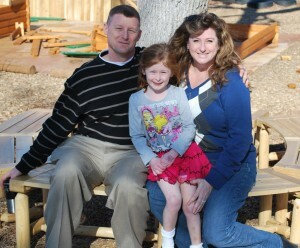 They also knew their 4-year-old daughter, Sally, would enjoy having a wonderful playground to play on. Plans for the Naturescape began in 2009 and the fundraising campaign officially began in spring, 2010. 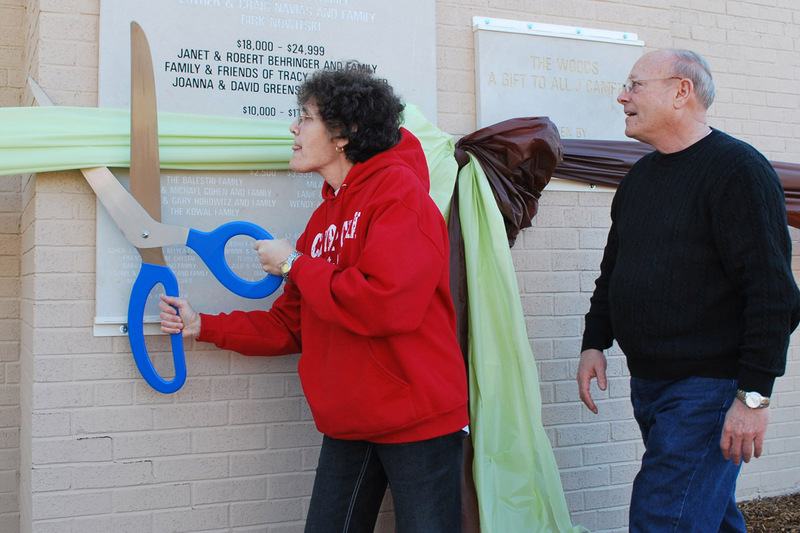 Laura Seymour, the J’s camp director, since 1977, originally presented the idea for a natural playground, and she and her husband Jeff were involved in the project from the beginning. Camp and the outdoors have always been important to the Seymours — in addition to being the J’s camp director for close to 35 years, Seymour met her husband at camp. As such, this type of outdoor playground is a dream come true for her. Tara Ohayon, director of the J’s Early Childhood Center, said this is an incredible gift for all of the children involved at the J and the kids who attend the J preschool will get to experience the Naturescape in various ways every day and being outdoors benefits cognitive, growth and motor skills. It’s a win-win situation for all. That’s especially true for Andrea and Jonathan Bard, as the J has played an important role in their family’s lives. Their two sons, Aaron and Jason, went to preschool at the J and come to camp every summer. The Aaron Family JCC is located at 7900 Northaven Road in North Dallas. 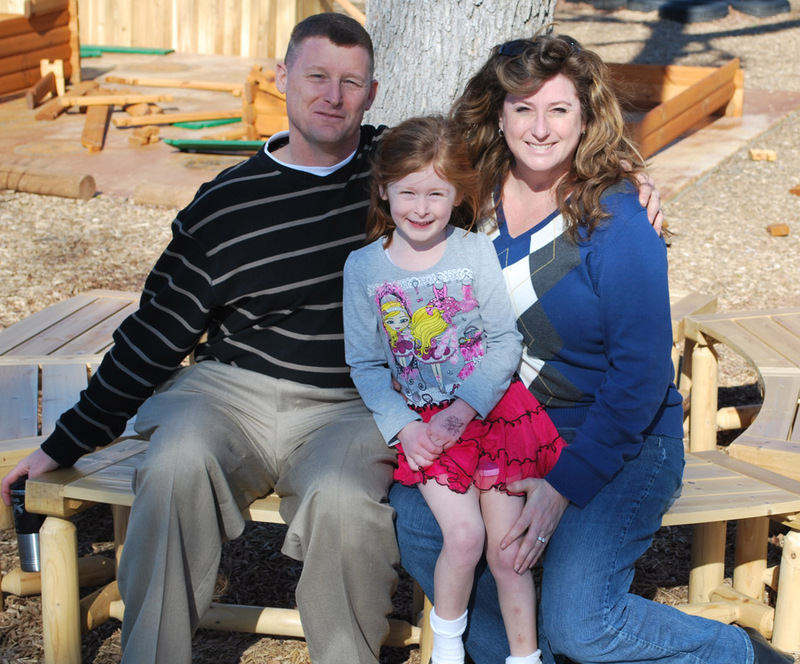 For more information about the Naturescape, contact Kerri Aikin at 214-239-7103 or kaikin@jccdallas.org. J Chairman of the board Phil Rosenfeld with daughter Rachel and wife Lisa. If you’ve already glanced through this issue of Texas Jewish Post, you’ve likely noticed the emphasis on Tu B’Shevat, and for good reason. Almost from the beginning of our existence as a people, we’re charged with taking care of the environment, and the day that honors trees reminds us of that responsibility. As I mentioned in previous columns, there are activities going on around Fort Worth to celebrate. In addition, why not host a Tu B’Shevat seder or take a stroll along the Trinity Trails? The weather this weekend is supposed to be clear and cool — perfect for outdoor walking. Also, check in with Beth-El Congregation on Sunday, Feb. 5 at 10 a.m. — the Jewish Federation of Fort Worth and Tarrant County is presenting “Trees: The Torah of Life,” which will have fun stuff for all ages. 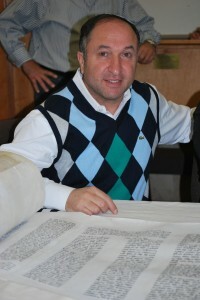 I mentioned last week that Congregation Ahavath Sholom announced its goal of planting a grove of 1,000 trees in Israel. I managed to catch up with Rabbi Gary Perras this past week (which was a challenge in itself for both of us), and he tells me there is more of a story here; that this isn’t the first time he’s spearheaded the planting of a lot of trees in Israel. He also tells me that filling the current grove is a long-term project and will require the community’s help. After this issue of TJP goes to press, I’ll pursue Rabbi Perras once again and get some more information about this program and its audacious (but very important) goal. Keep an eye out for an article during the next couple of weeks. Marian Haber was nice enough to send us pictures and information about hers and husband Julian’s 15-day European cruise. It was fabulous, she said, though cold. 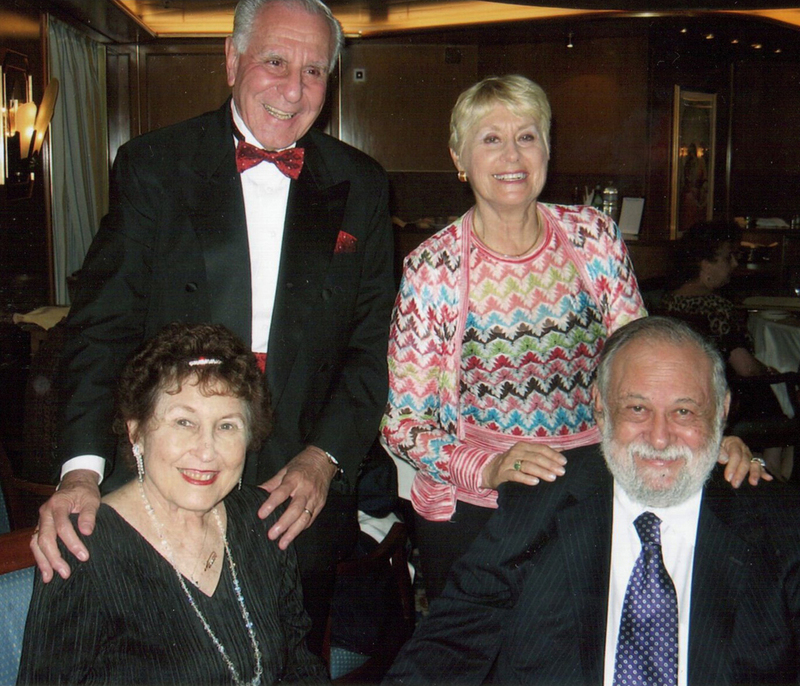 Jim and Barbara Manzi (standing) joined Marian and Dr. Julian Haber on a 15-day European Cruise late in 2011. Another treat for the Habers — was cruising with former Fort Worth resident Barbara Bakal Manzi and her husband Jim Manzi, who originally hails from Los Angeles. Together, these couples visited London; Bruges in Belgium; Normandy, France; Lisbon, Portugal; Vigo, Spain and Bermuda. I’m envious — though it was cold, a cruise throughout Europe seems like a really neat trip and I’m glad these four had such a good time. Now, the Habers were good enough to share their trip and photos. Anyone else out there who has recently traveled, please send me the information (and a couple of photos) — as always, I can be reached at awsorter@yahoo.com. A few months ago, I wrote that Fort Worth resident Joe Klein wrote a six-part series of stories for the Elmer Times in New Jersey. The stories focused on Pittsgrove Township, where he grew up. Apparently these fine folks at the Elmer Times received a lot of positive feedback from their readership — and have also sold back copies with those stories. Now, Joe said he’d e-mail me a couple of his drafts and I’m looking forward to reading them. Alternately, he invited me to visit the Tarrant County Jewish archives at Congregation Ahavath Sholom (where his stories are in the archives) to read them as well. I will take you up on that, Joe, as soon as I can breathe a little bit down here in Joshua. In the meantime, I encourage others to pay a visit to the archives and take a look at these articles (as well as to take a look at the other history there). In the meantime, congratulations, Joe! Angie Kitzman at the Jewish Federation of Fort Worth and Tarrant County was nice enough to send a recap of author, commentator and radio host Micah Halpern’s visit to the area on Jan. 19. Halpern, as the Federation’s scholar-in-residence, talked about the Arab Spring and what it means to Israel. He spoke about it very strongly to me when I had the opportunity to interview him a couple of weeks ago and apparently, from what Angie tells me, he was just as compelling (if not a trifle unsettling) during his presentation. Angie also pointed out that Halpern’s presentation sparked a great many lively conversations during the following reception. This is a good thing. We need not assume that Arab Spring and western democracy are synonymous — in fact, based on what’s going on in the Middle East right now, the opposite seems to be true. As Jews, we need to keep a clear head about what, exactly, is going on in the Middle East. It seems as though Halpern managed to shed a little light on that. Angie also asked if I could send out a “thank you” to the scholar-in-residence committee members, and I do so gladly: Thank you, Karen Kaplan, Barbara Rubin, Len Schweitzer and Lisa Waz. The next Daytimers session will take place Wednesday, Feb. 8, and will feature Jim Riddlesperger Jr., TCU political science professor and noted author. He’ll be on hand to discuss national and state politics. Cost of the event is $9 (if you want lunch catered from Ming Work) or $4 (if you don’t). Questions? Call Barbara Rubin at 817-927-2736. Want to make reservations? Again, Barbara will be happy to help, or you can mail your check to Daytimers, c/o Beth-El Congregation, 4900 Briarhaven Road., Fort Worth TX, 76109. Or, if you’re like me and are too lazy for snail mail, register online at www.bethelfw.org/donations. Truth be told, the Torah and the Scripture are, in their entirety, books written through prophecy. Without this belief, all of Judaism becomes irrelevant as the Word of God. Maimonides further elucidates this principle, at great length, in his “Code” (“Yesodei HaTorah,” chapters 7-10). There he states God’s granting of prophecy to man as a core foundational Jewish concept. He spells out the required character traits as well as the type of unique mind one must possess to be a candidate for prophecy. That individual must achieve a constant diligence in connecting his or her mind to the highest spiritual concepts and bind his/her intellect to the Throne of Glory, living a life and thoughts of purity and holiness. With this effort and with the guidance from other prophets, his/her intellect becomes bound up into the world of the angels, and a new spirit descends upon him/her, enabling an understanding and completely different type of knowledge he or she experienced beforehand. Do we believe there is prophecy today? One would seemingly only need to turn on Sunday morning radio in Dallas to hear those to whom “the Lord spoke to them last night” (and said to tell the people to send them their money) to be a believer! Judaism points out that prophecy ended after the first period of the second Temple. The “Men of the Great Assembly,” 120 sages who led the Jewish people of that time (and authored the Siddur prayer book), had among them a small number of prophets, including Mordechai of the Purim story. From that time on we, as a people, have not been on a lofty enough level to attain prophecy. I often say, that was the point during which we became a “non-prophet organization!” However, though actual prophecy ceased, other levels of divine inspiration continued. The Talmud says even after the Jews no longer had prophecy they still used the bas kol, literally, a “daughter of the voice,” which consisted of a type of voice heard from heaven, often in response to a question posed by the sages in their study halls. Below bas kol exists another level of divine inspiration called ruach hakodesh, a “holy spirit.” This level existed well past Talmudic times and was known to exist even as late as Maimonides’ generation. This is a type of divine revelation which comes through the study of Torah with complete purity, dedication and nullification of one’s mind to the mind of Torah; in a sense, to the mind of God. February 8 — 15 of Shevat — is the wonderful holiday of Tu B’Shevat. Once considered the “birthday of trees” or even the “Jewish Arbor Day,” Tu B’Shevat these days reminds us that it’s important to be stewards of the earth and to protect it. To that end, most of us have memories of collecting money to plant trees in Israel at this time of year. Planting trees is certainly a good way to observe this holiday, but the good news is that there are so many wonderful ways of teaching our children to appreciate the wonder of nature and to learn that the Jewish people have been ecologists, conservationists and environmentalists since biblical times. We are, after all, commanded by God to care for our earth. According to Genesis, He created mankind to have dominion over the animals, flora and the earth itself; within that, it’s implied that we’re responsible for everything on the planet. 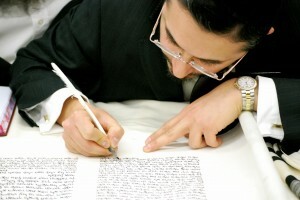 The Torah then gives us detailed instructions on how to protect and preserve the earth. Our Jewish sages have reinforced this theme. For example, Rabbi Yohanan ben Zakkai wrote: “If you have a sapling in your hand and you are told that the Messiah has come, first plant the sapling and then go welcome the Messiah.” (Avot de-Rabbi Natan 31b). Other areas of the Talmud point out that “It is forbidden to live in a town in which there is no garden or greenery (Jerusalem Talmud, Kodahsim 4:12)” and “Whoever destroys anything that could be useful to others breaks the law of Bal Tashchit (Babylonian Talmud, Kodashim 32a).” Bal Tashchit, by the way, is an important Jewish law which tells us we’re forbidden to destroy. You can help make Tu B’Shevat more meaningful for your family in the following ways. Check with your local synagogue’s religious school to see if they have a program along these lines. Though it’s still too cool for outdoor planting, some herbs do well indoors. For example, parsley grows well indoors, so grow it — and it will be ready for Passover! Conduct a Tu B’Shevat seder! • Four cups of wine. The first cup is white, to represent winter; the second can be pink (or mix a little red with the white) to celebrate the first sprouts. The third cup is light red, to represent ripening fruits, with the fourth cup all red, representing fruit in full bloom. • Four different fruits. Much like the wine ritual above, different fruits represent different stages of growth. The first consists of fruits with a hard, inedible outer shell and a tasty inside (such as almonds or pomegranates); the second is fruits with pits of which all can be eaten except for the inside. The third types of fruits are entirely edible (such as figs); while the fourth fruits are actually grains: Wheat, barley, rye and oats, all of which are found in breads. Before eating each fruit, say a blessing and before eating the bread, say the motzi. One good resource for this is “Listen to the Trees — Jews and the Earth” by Molly Crone. There is no right or wrong answer in discussing these texts. It was thrilling to be in the audience last Sunday as the Maccabeats, Yeshiva University’s male a capella group performed at Shearith Israel as part of the Small Waldman Cohen Music series and in cooperation with Yachad of Dallas. What struck me Sunday was the cross section of our vibrant Jewish community in attendance. It seemed to me as though all facets were represented. I then considered all of the other programs throughout the day open to all: The weekly meeting of ATID (Academy for Torah in Dallas), a program for 11th and 12th grade students; earlier in the day, the sisterhoods of all of our Dallas-area synagogues held their annual intra-faith brunch at Temple Shalom; the ribbon-cutting of the J’s new Naturescape; 18 different Learningfest opportunities; youth sports at the J and more. Wow! A hearty Yasher Koach to everyone in our community that keeps it humming and interesting for all of us. And by the way, if you haven’t been to a Learningfest program yet, by the time you read this you should have some 20+ opportunities to participate in one of the edifying sessions. Visit learningfest.org for more info. Are You Addicted to Toxic Emotions? Would you Like to Break Free? On Thursday, February 9 at 7:30 p.m. JFS, Chabad of Dallas and Chabad of Plano will present Rabbi Shais Taub speaking on “Emotional Heights: Are We Addicted?” at the Jewish Community Center of Dallas (7900 Northaven Road). 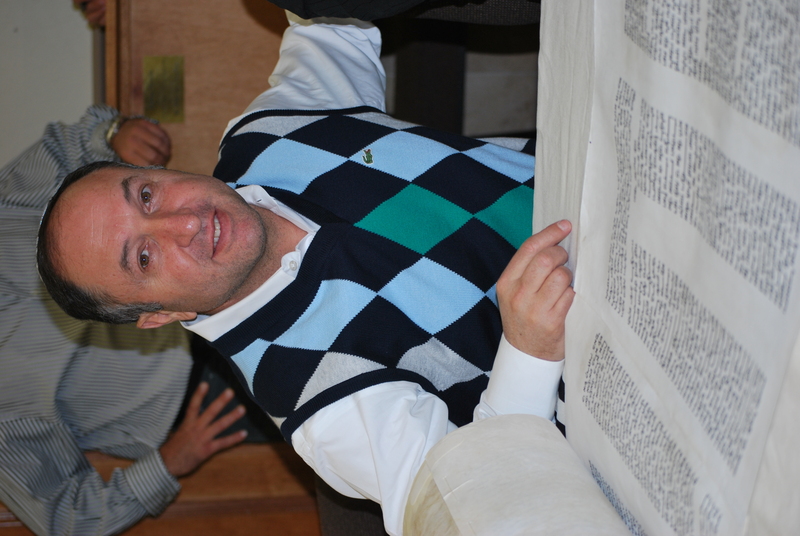 Rabbi Taub is the author of “God of Our Understanding: Jewish Spirituality and Recovery from Addiction” and serves as spiritual leader of Conscious Contact, a prayer and meditation center with an emphasis on serving the spiritual needs of addicts in Pittsburgh, Pa. He is on the editorial staff of the websites Chabad.org and Jewish.TV and is a routine contributor to the Huffington Post. The cost is $5 at the door, no RSVP necessary. For more information, please contact Moshe Naparstek with Chabad of Dallas at 972-818-0770. Congregation Beth Torah has two fun events planned for next weekend. The Men’s Club is sponsoring an art auction on Saturday, Feb. 11, with all proceeds earmarked to pay down the synagogue mortgage. The “Deck the Walls — Burn the Mortgage” event will feature a huge selection of fine art, Judaica, and sports and music memorabilia. State of the Art, which organizes fundraising auctions throughout the country, is supplying the art and a professional auctioneer. Admission is free, refreshments will be provided, and the Men’s Club is picking up all expenses so every penny raised goes to the mortgage. The preview starts at 7:30 p.m., the auction kicks off at 8:30, and the public is welcome. For more information or to RSVP for a great raffle prize, call the synagogue at 972-234-1542. The annual joint breakfast of CBT Men’s Club and Sisterhood on Sunday, Feb.12, will focus on green energy and the growing revolution in electric cars. The program will be led by Stanton Zeff, a Beth Torah member, and expert on green energy — and the proud owner of a new Nissan Leaf, one of several electric cars already on the market. As always, the annual gathering features Men’s Club lox and bagels, delightful Sisterhood desserts and the special camaraderie of the synagogue’s two leading groups. The breakfast begins at 9 a.m., following the 8:30 minyan. The cost is $8 for members, $10 for guests. Beth Torah is located at 720 W. Lookout Drive in Richardson. For more information, call the synagogue at 972-234-1542. As someone who’s son had the awesome experience of participating in last year’s Maccabi Games in Philly, I highly encourage you to have your child try-out for this year’s Team Dallas which will travel to Memphis, Tenn. Aug. 5-10. Tryouts will be held between mid-February and the first week in March. The dates are already posted on the JCC Website. At presstime, tryouts are being held in boys basketball, girls basketball, boys soccer, girls soccer, swimming, table tennis and tennis. The games are for atheltes ages 13-16. Athletes age 12 may tryout and be eligible to participate in individual sports only — swimming, table tennis and tennis. For more information, visit the J’s website, jccdallas.org or contact John Mize, director of Fitness and Wellness at 214-239-7147. Congratulations to Robin Teig, activity director on the Memory Care Unit at the Legacy at Willowbend, who has been certified through the National Certification Council for Activity Professionals (NCCAP), the only national organization that certifies activity professionals who work with the elderly. Certification generally takes around three years to complete. It involves extensive Modular Education Program for Activity Professionals (MEPAP) classes, 30 continuing education credits and a college degree in a related field. The NCCAP sets standards for those working to meet the activity needs of those in their care and provides certified professionals with recognition, development, and collaboration at the national level. “I am thankful that The Legacy has provided me with the opportunity to receive my certification, and I am proud to represent The Legacy as a certified activity director,” said Teig. Teig has placed an important emphasis on the arts by using poetry, art and music to help trigger memories in her memory care residents. She also will be facilitating a support group for the family members of her memory care residents at The Legacy to provide them with useful information and the help that they need. Added congratulations to Levine Academy’s newest inductees into the National Junior Honor Society. 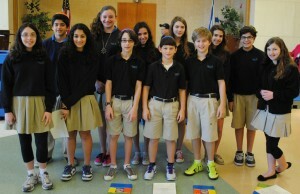 Levine Academy’s NJHS members are from left, back row Eylon Kidron, Dani Milner, Elena Okowita, Mira Fradkin, Sabrina Suster and Josh Rudner; front row: Elise Eisenberg, Shira Hovav, Jonas Frenkel, Ben Schachter, Zach Rudner and Sophie Bernstein. Eighth graders Eylon Kidron, Elise Eisenberg, and Shira Hovav; and seventh graders Zach Rudner, Josh Rudner, Sabrina Suster, Mira Fradkin, Sophie Bernstein and Ben Schachter. NJHS members organize and run C.H.E.S.E.D. Day, Mitzvah Madness and Teacher Appreciation among many other programs. They continue to demonstrate their leadership skills as they serve as role models for all of our students. Anshai Torah has moved it’s Lunch and Learn with Scholar in Residence Rabbi Donniel Hartman to Thanksgiving Tower, 1601 Elm Street. The program begins at 12:15 p.m. For more information, or to RSVP by Feb. 6, contact Debbie Butvin 972-473-7718, or email debbie.butvin@anshaitorah.org. Don’t forget as with every Superbowl Sunday, this Sunday morning is the annual Worldwide Wrap, which will be held this Sunday morning, Feb. 5, at Congregation Beth Torah, 720 Lookout Drive in Richardson. The World Wide Wrap is sponsored by the Men’s clubs of Congregations Anshai Torah, Beth Torah and Shearith Israel, and rotates locations from year to year. Bring your t’fillan and say morning prayers with men and women from across the community and stay for a nosh. The program begins at 9 a.m.
We would like to hear from our readers. Send me your news at sharonw@texasjewishpost.com.